I spent some time wandering around and exploring the Gulf Gate area with my father today. 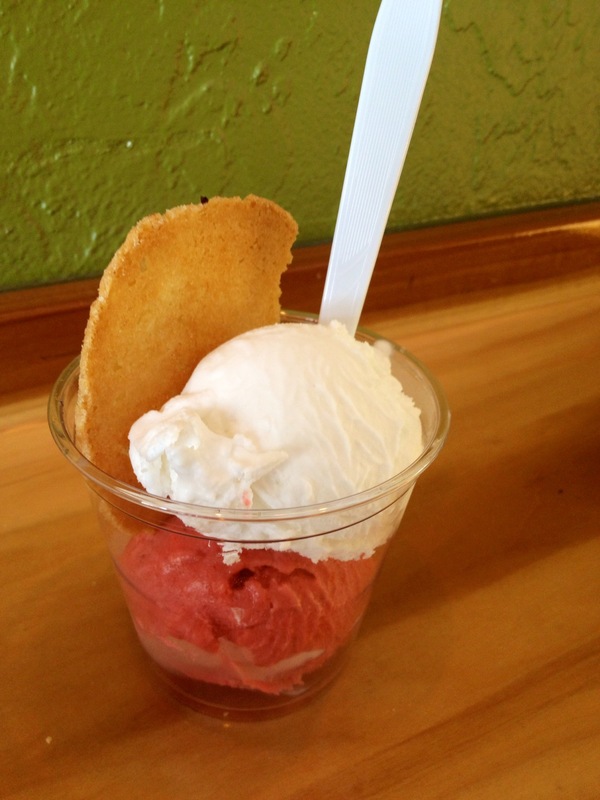 I’m still pretty new in Sarasota, and heard that this area was full of great culinary discoveries. A few people I know have specifically mentioned this spot as the source for the best pierogis around, so we made it one of our destination goals. It ended up being the first one that we happened upon. We walked in to find an assortment of Polish specialty items ranging from blintzes, to herring, to farmer’s cheese and pickles. The menu on the 2 small tables in the middle of the store consisted solely of different flavored pierogis and a few beverages. I asked and was told that yes, these are the same ones that they also sell frozen. 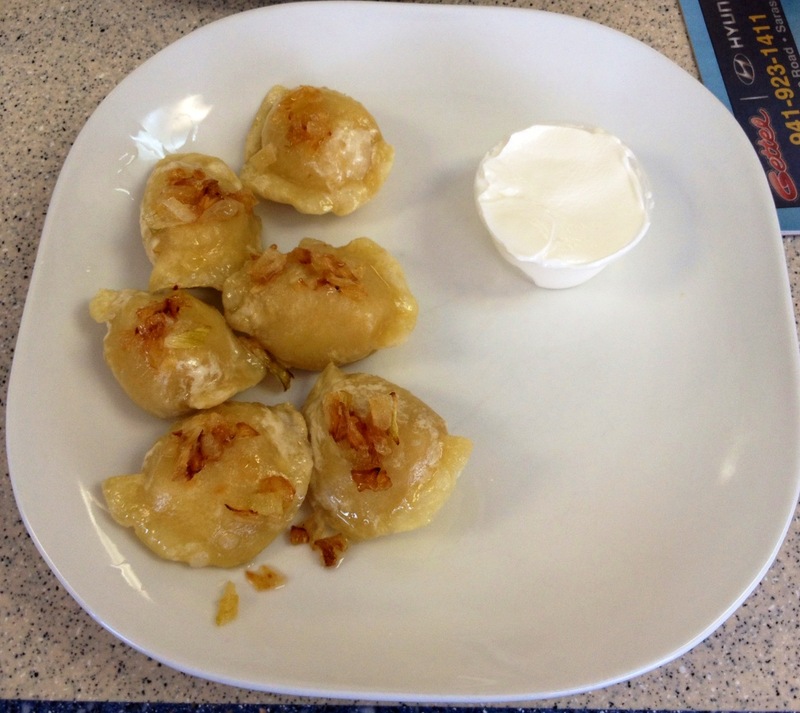 We decided to split a plate of the potato pierogis which come with sauteed onions and sour cream. Sounds good to me. No need to load other ingredients in the way of my carby treat. Our plate came out a few minutes later with 6 small pierogis, hot out of the pan. They smelled wonderful and tasted even better. Smooth filling, perfect texture of the dumpling outside and the cool, creamy sour cream that one expects with this dish. I would also have loved some apple sauce, but that’s just because I grew up eating them together. The onions were a nice touch, and the flavors were so indulgent and awesome together. It’s a good thing my half was only 3 small pierogis because I think it’s quite possible to go dangerously overboard with them otherwise. I definitely recommend sharing one plate. I am curious to try some of the other flavors they offer like mushroom and potato with cheese. Overall, this is definitely a great place for a starchy snack. I wish they had salads so that I could have made a whole meal out of it. Then again, they know what they do well and don’t stray from that, and that fact in itself is really quite charming. YUM.